My dad and I shared a passion for baking banana bread from scratch and it is one of my fondest memories of spending time with him. Now that he is gone my passion for baking it from scratch has diminished but my family stills looks forward to my making tasty baked goods. As a busy mom I appreciate that Cherryvale Farms All Natural Bread Mixes uses wholesome organic flour and sugar. There are no unpronounceable ingredients and baking up delicious breads for my family to enjoy is easier than ever. Wiping away a few tears, I set out to make my first banana bread since my dad passed away. I made the “Everything But The….Bananas” which is a delicious banana bread mix that includes everything except the bananas, vegetable oil and water. It was so easy to make by simply mixing the ingredients together in a bowl and then baking in a greased pan at 375 degrees for 50-55 minutes. The smell of banana bread brought my husband and children to the kitchen eager with anticipation. 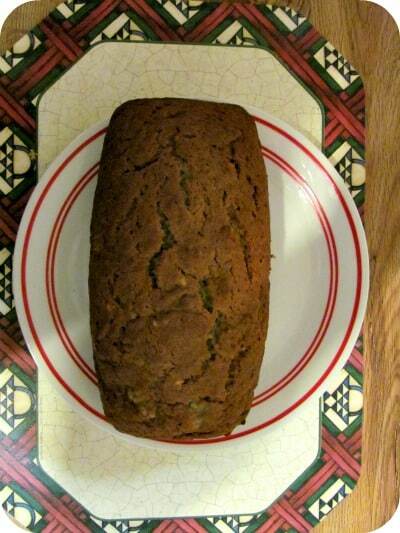 The finished banana bread was absolutely delicious-moist and flavorful. In fact, my family couldn’t wait to gobble it up and “gasp” stated that it was “one of my best banana breads ever”! As if that wasn’t delicious enough…….the following week I baked the most delicious Apple Streusel Muffins from Cherryvale Farms. “Everything But the Apples” is another premade mix using organic ingredients and I just had to add my own organic apples, water and vegetable oil. The aroma of ginger, cloves, cinnamon and vanilla filled the house reminding me that we are finally celebrating the fall season. These muffins are perfect for a light breakfast, snack or dessert. It was a big hit with my family who requested that I make these again. Cherryvale Farms is perfect for busy moms who love to bake using wholesome ingredients without cooking from scratch. You are invited to visit Cherryvale Farms to browse the entire product line and choose your favorites to purchase online! There are lots of great ideas for the holidays and even a recipe section. They all sound good, but if I had to pick one; I’d go seasonal with the Pumpkin Bread. 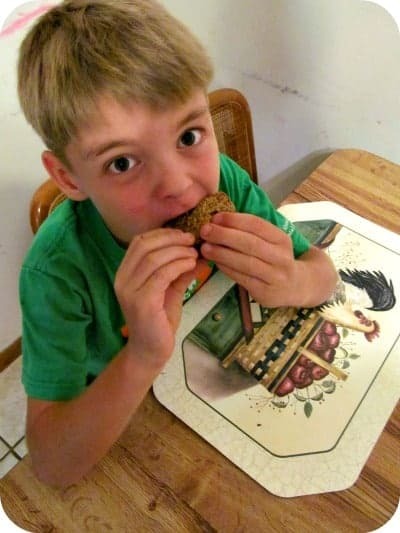 My kids love to bake with me – everything but the bananas bread! I’d love to try the apple streusel muffin mix. I like the idea you can create homemade healthy baked goods in less time than starting from scratch. I would love to try everything but the zucchini bread. I would like to try the Banana Bread Mix! I would love to make the Pumpkin Spice Bread. I would also like to try the Banana bread mix. i would like to make the everything but the apples muffins! The idea was hatched at their home, Cherryvale Farms, in Santa Cruz, California. Their biggest decision was to start the business. I learned that this is a family business based out of Santa Cruz, California. The banana bread sounds yummy! I want to bake the zucchini bread! I love the add in suggestions! The Bacon to add to the Zucchini Cornbread mix would be the first I’d try! Thanks for the giveaway!! I would love to try the everything but the zucchini. I learned that the company is located in Santa Cruz, California. I learned that the corn in their Zucchini Cornbread Muffin Mix is just real, dehydrated corn. Nothing else. Fresh from the stalk to the delicious bag of muffin mix. They plump up in the mix and taste like freshly shucked corn piping hot out of the oven. Real Ingredients. No preservatives or refined sugars. Nothing artificial. The Apple strudel muffin mix looks good and that their products are preservative free. i would like to try the Pumpkin Bread. I would like the 2 PACK: “EVERYTHING BUT THE ZUCCHINI” CORNBREAD MUFFIN MIX. Cherryvale Farms, is from Santa Cruz, California! I have a friend from there!